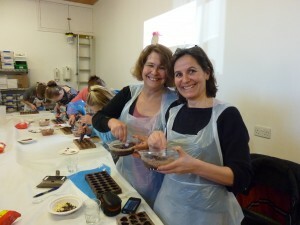 On Saturday I completed my 4th challenge – chocolate making! This was my birthday present from John, a half day session for 2, learning how to make posh chocs! I met my eldest sister, Nicki, bright & early in Arlesford for a coffee before heading to Chocolatecraft’s workshop at Upton Farm. To begin with we learnt some basic facts about chocolate (including tastings), and the best ways of working with it. With our newly acquired expert knowledge, we started the practical session! We were shown how to make the chocolate moulds, two layers of chocolate, which were then refrigerated for 20-30 mins – enough time to prepare our ganache! Hampshire cream is boiled and then glucose added. Once it has cooled you can add your flavourings, including alcohol, nuts and fruit pieces. This is all mixed together to get a shiny ganache. I made an orange ganache with either hazel nuts or orange fruits & Nicki made a limoncello ganache. We piped the ganache into our chocolate moulds, trying to avoid peaks, overfilling and air gaps! The moulds were then returned to the fridge for further chilling. Whilst the chocolates were chilling out, we practiced our creative decoration techniques (I am not very artistic!). We were provided with chocolate lollies to decorate, needless to say I did not win this competition!! Once the chocolates came out of the fridge, we topped them off, with the aim of giving them a nice shiny bottom! This involved pouring chocolate over the whole mould from the top. When it was fully covered, you then scraped once firmly, removing all the excess chocolate from the mould, and cleaned up the sides. Any holes, were carefully filled with the corner of the scraper! The mould was returned to the fridge for a final chilling. When the mould came out of the fridge, we ‘twisted’ it like an ice cube tray, then turned it over and banged it down hard on the table. 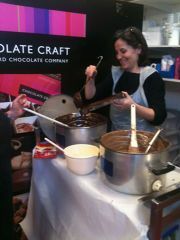 Most of the chocs came out easily, and any stubborn ones fell out with a little gentle persuasion! 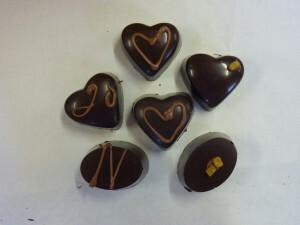 Having honed our creative skills, we then decorated our chocs before boxing them up. I kept my decoration very simply, initials, hearts and dried fruit pieces! Nicki & I shared our spoils, so that we had a selection of posh chocs! We had a really enjoyable morning, and whilst this was not physically challenging, I did learn some new skills, and even managed to increase my knowledge on chocolate! Great present John! I have managed to get out on the bike a few times over the last week, but I always seem to attract the rain. On Thursday, Trevor and I had just reached the highest point on Salisbury Plain at the trig point above Boscombe Down, when the heavens opened. It didn’t just rain, but blew a storm with gusting hail stones for a good 20 mins. Being an expert, Trevor had a 4 man survival shelter in his ruck sack, so we didn’t get too wet or cold, for which I am very grateful! 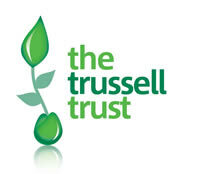 It is about 10 days to the event, so I need to get out as much as possible this week, which is a challenge in itself, with the kids in three different schools across Hampshire & Wiltshire, and John travelling away more with work – on the upside, at least the evenings are lighter, so there are more useable hours in the day! 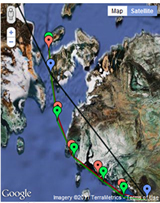 I have booked my 6th challenge! Sally & I are going to brave the British waters and do a wild swim round Lulworth Cove. I will soon need to find time to get into the pool and build up some water stamina – Life is never dull! Arctic-Mummy swims the Jurassic Coast! Arctic-Mummy Takes to the Water! A Roady on a Mountain Bike! Great chocs Nicki & Jo. When are you going to make more! !